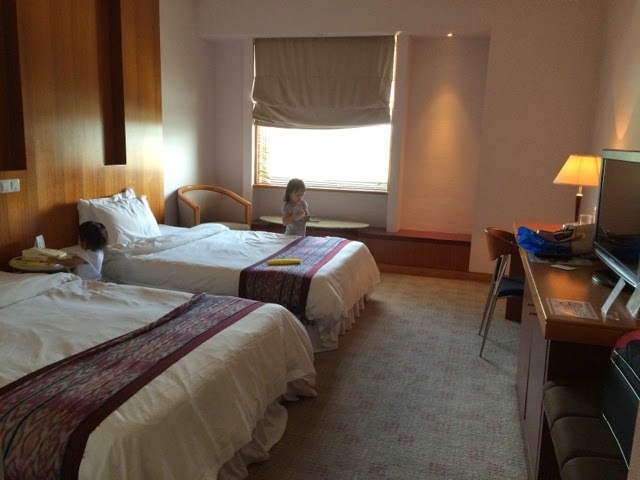 This had been a hectic week at work for me that I barely saw my kids :( My 3 and a half years old girl was not so happy about my busy schedule until I promised her 3 days ago that we could stay at a hotel specifically a hotel with a bathtub and a pool, for quality family time together. So today after settling the house chores, I brought them to Parkcity Everly Hotel as promised. I booked the hotel through Agoda coz they offered the lowest rate compared to Booking.com (RM300.10 nett per night). 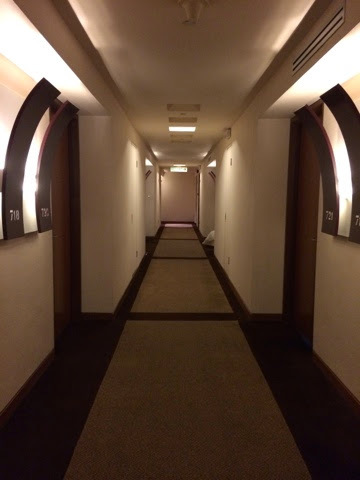 We stayed at 7th floor, a non-smoking room / floor. 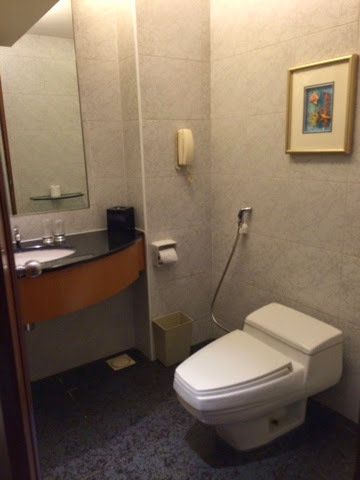 The pictures on the Internet did not quite do justice to the actual hotel room. In fact it wasn't so bad. 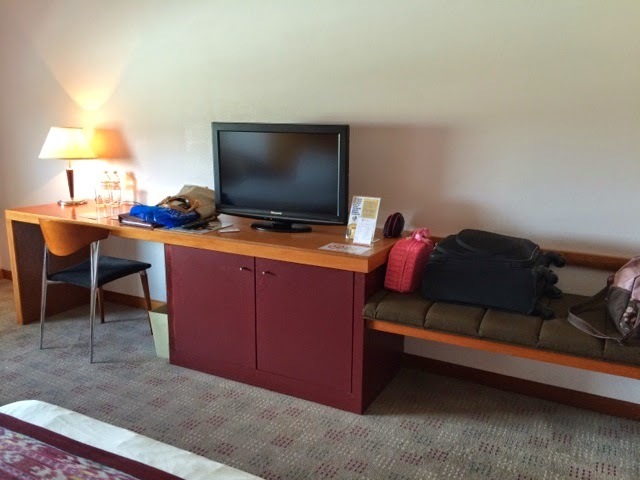 What I like about the hotel room is it is clean and well kept, although the design could need a facelift. The carpet certainly makes the whole room looks tired and shabby and I hate the bed runner because it looks out of place! I also think the armchair needs to be changed to more modern look. Otherwise, the warm color of the wood panel, wardrobe and study desk gives the room a cozy feeling. Other than that, the rest of the amenities are standard. The beds were quite comfortable but nothing to shout out. 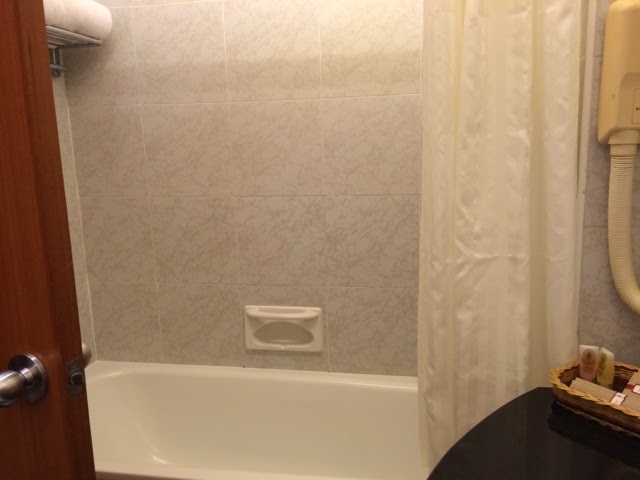 Of course the best part about the hotel is the room comes with a bathtub, something I find odd about the ultra modern New World Suites Hotel because they don't have one. 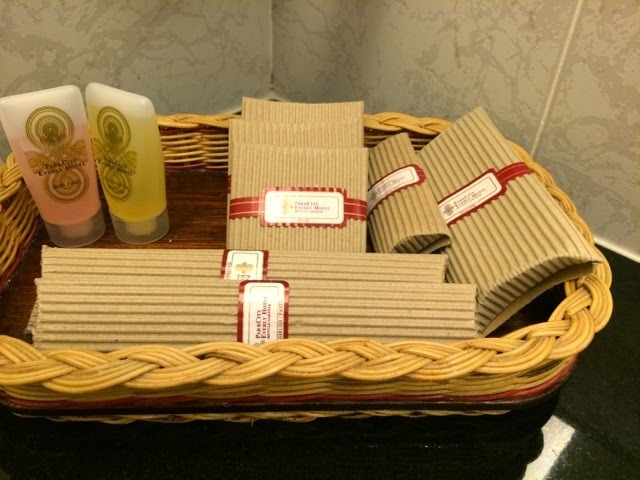 The toiletries' packaging also needs to be revamped because they are just too old-style, if you know what I mean. 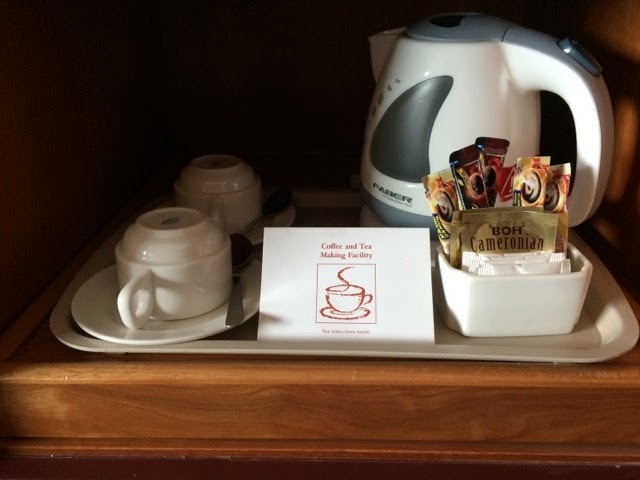 Like other hotels, tea & coffee are complimentary. We also tried their breakfast the next day. Their buffet is also pretty standard - nasi lemak, roti canai, porridge, the egg station, cereal, dimsum - to name a few of the selections that morning. But still, it's better than New World Suites in terms of variety. As promised, I brought the girls to swim and the swimming pool. I had to search around for the pool towel counter and when I found it, I was annoyed to see the sign 'Run out of dry towel'. There wasn't that many swimmers that morning and already they ran out of clean towels! Hmmph. 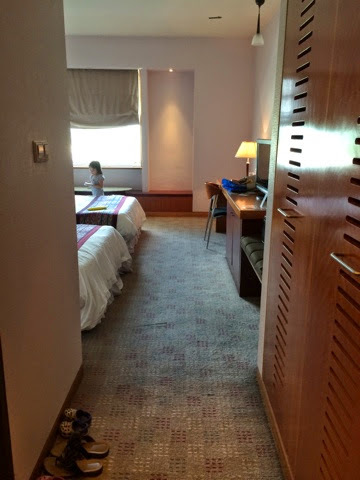 My verdict - the hotel hardly impressed me, which is too bad because there is so much potential and with such spacious area and strategic location near the seaside. If the hotel management didn't do anything to make it outstanding, someday it might end up being as a shabby and outdated hotel that no one wants to stay in.